The year is ending and this will be our last blog of 2018. 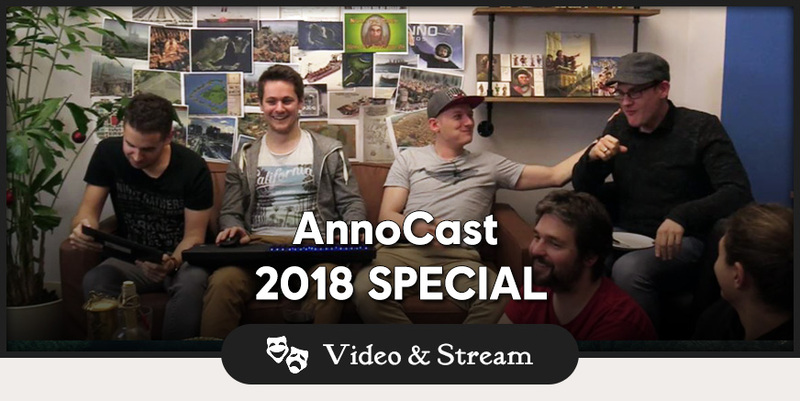 To send you off into the New Year appropriately – and bring you a bit closer to the launch of Anno 1800 – we prepared something special for you. Video is available in german with english subtitles. The Anno Team wishes you Happy Holidays and a fantastic 2019! Today we’ll present a short blog with our AnnoCast Specials from this week, where aside from special guests like Valle or Belannaer, we also had an open door policy and many of our developers dropped in and visited us during the stream. And tomorrow we’ll have another AnnoAfternoon with our Community Team from Newcastle. John and Chris will play Anno 1602 with you, which you can currently get for free through Uplay if you haven’t grabbed it already. Announcement: Closed Beta and 1602 for free! The release of Anno 1800 is almost at our doorstep and a before we go into our final sprint for the big finale on February 26th, our team will take a short but well-deserved holiday break. But that is not all! Today we are also very happy to announce the Closed Beta of Anno 1800, which will begin on January 31st and allow an even larger number of Anno Union members to help us test the game in the lead-up to its release. So if you haven’t signed up yet for our testing, make sure to do so straight away.If you have previously signed up or participated in our Technical Test, you are all set and can enjoy the time until invitations go out in late January by rediscovering Anno 1602! 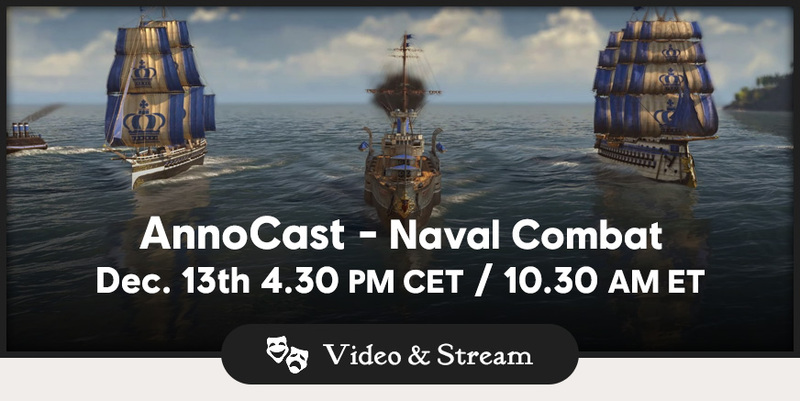 If last week’s Naval Combat stream wasn’t enough, we will bring you two more AnnoCast livestreams to celebrate our anniversary this week. 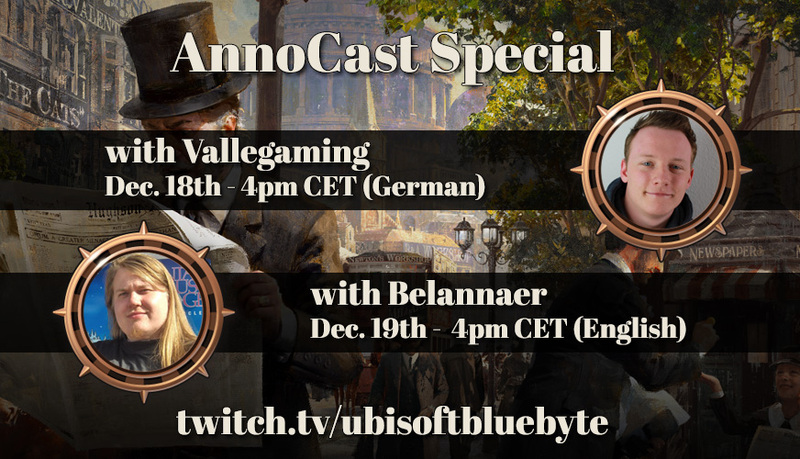 We will start tomorrow with our first-ever German episode of the AnnoCast, guest-starring popular German YouTuber and certified Annoholic, Vallegaming. 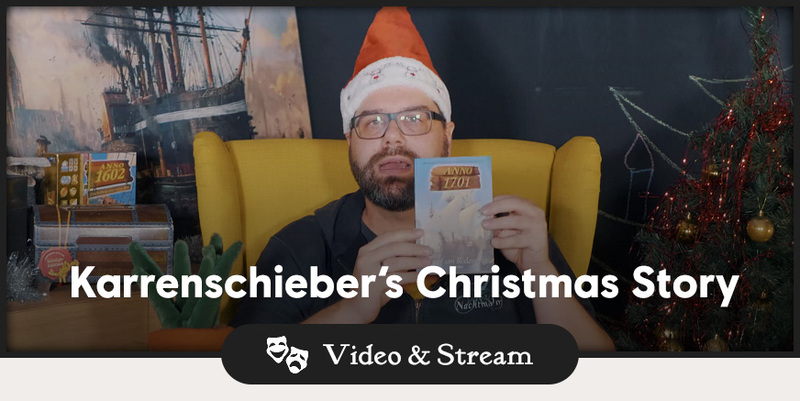 Tune in for some Anno 1800, our favorite stories of 2018 and perhaps even cookies (for us. Not you. Sorry!). On Wednesday, the party keeps rolling with yet another AnnoCast, this one in English and featuring big-time strategy fan and part-time Viking Belannaer from beautiful Finland. To make things more interesting, he will have to keep playing from the save game that Valle starts the day before, so let’s see how that goes. t or anecdote from 2018? The livestream starts today at 10:30 EST on our Twitch-page. You can also let Twitch remind you of the Stream start, by clicking “Remind me” on the Event-site. Alternatively, you can also follow the Stream here on our blog. After the Stream, we will replace the Stream with the VOD. 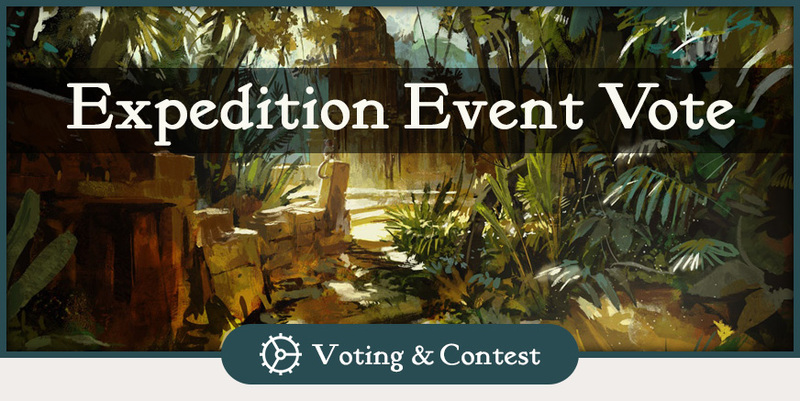 After reading through dozens of creative, smart, surprising and sometimes funny expedition events, we are ready to open the next Anno Union vote! However, before we present our final entries, a few words about the amazing work of everyone who participated. Once again, we had a tough time making the final decision which events should make it into the voting. Some stories amazed us with their incredible love for detail while others impressed us with their visual design and representation. At the end, we had many favorites, so our narrative and design team had to come together to make a tough call: deciding for the finalists for the community vote. Decisions were made based on the general idea, flair and design of the event, while we also had to take into account if the entry would fit into the game and whether they would make a great addition to the existing roster of expedition events. Follow the footstep of great scientific adventurers like Charles Darwin, on a curious hunt for mother earth’s last great secrets. In a seemingly unknown and wild archipelago, will your discoveries cause furor among fellow scientists back home or will your curiosity take its toll among your comrades? If you want to change the world, you have to be willing to take all risks necessary. Editor’s note: As Anno is merely inspired by history, but does not use actual personalities, we renamed the event to “The voyage of the Beagle” to keep the reference to Charles Darwin. A tale of old legends and auspicious treasures. This event leads your crew to a mysterious island, haunted by the ghostly remains of the last unlucky soldiers of fortune who tried to unravel the island’s mystery. Are you brave enough to press forward into the depths of an old pirate cave and will you be able to reap the riches and to uncover the truth about the “Isla de los Muertos”? With great power comes great responsibility. In an age of exploration, where the old world taps into the last unknown corners of the world, you brought something with you that might decide the fate of a once untouched paradise. A dramatic event with high stakes where your actions will decide the destiny of an old civilization. The voting will be open until January 2nd, giving you ample opportunity to cast your vote in favor of your preferred expedition proposal. We say thank you to all members of the Anno Union who participated in the contest. While we had to decide on three final entries based on a variety of factors, including how they would fit into the existing game, we are proud that there is so much creative power in our Anno community. 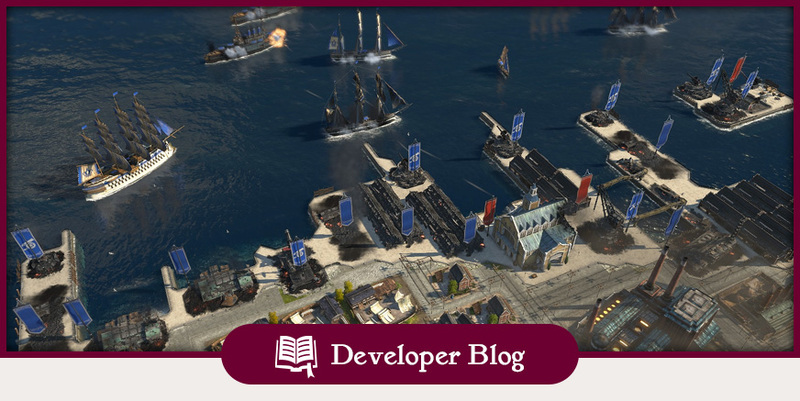 We hope that you like our brief look into the new naval combat feature in Anno 1800. Please be aware that the content shown is from the latest development version of the game and as we are still in Alpha state, it does not represent the quality of the final product. The feature, as demonstrated in the video, was not part of the Technical Test version and was fully captured in-game. 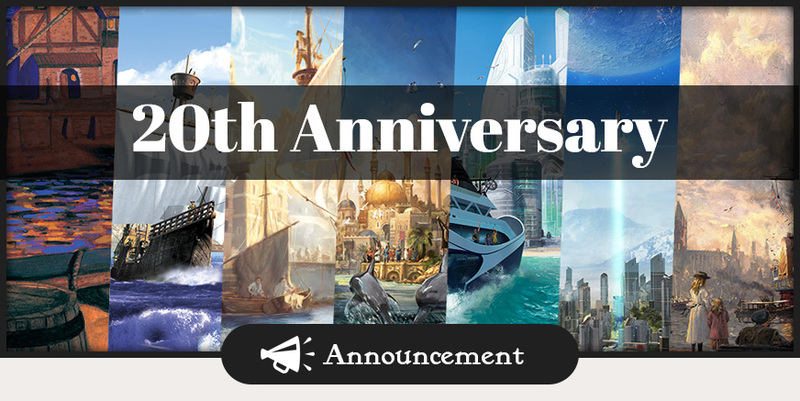 We are still working with full force to bring you a great Anno 1800 experience at launch and therefore, there will be more updates and Devblogs to look forward to until February 26th. We are looking forward to your feedback and questions in the comment section below. Our big Technical Test of Anno 1800 has concluded, so today we want to give you a brief production update on how the test will help us in the final months of development leading up to our launch on February 26th. First things first: We want to thank all members of the Anno Union who participated in the test. Once again, you demonstrated that getting you in as early as possible on the game’s development was the right call, with thousands of comments providing constructive feedback and reports during the Technical Test week. While we will be busy checking all your comments to filter out actionable feedback, what were the biggest takeaways for us? And how will they help us to improve the game? Besides reporting bugs, balancing was a very important topic for Anno veterans out there. Ranging from the “vicious Schnapps cycle” to fierce discussions about how demanding production chains should be in a classic Anno title, your voices will help us to find the right balancing for the game. Our vision is that Anno 1800 will be a callback to old classics such as 1404, offering great complexity and replayability while also allowing a satisfying first experience for players new to the series. 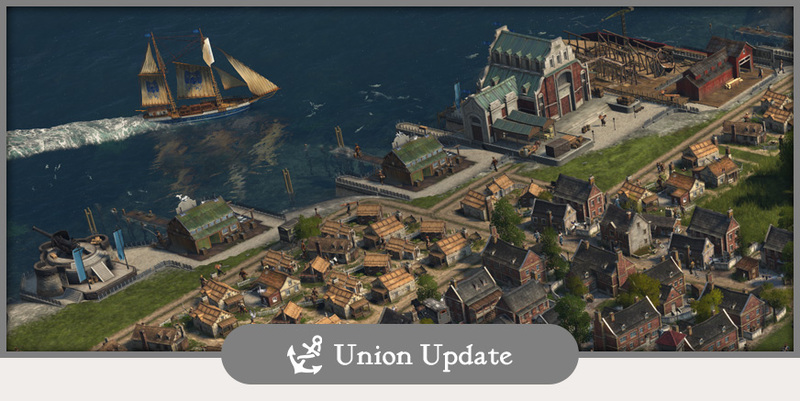 The new workforce feature was also a welcome change for most players, as it offers many new intricate ways to play around with Anno 1800’s mechanics. However, as the content was limited to Tier 3, players spent a lot of time playing the same game loop again, settling and expanding their empire to various islands without being able to transfer their workforce. To shed some light on that matter, workforce transfer will be available via the commuter harbor, which becomes available with Tier 4 (the Engineers). In the full game, we expect players will likely advance to tier 4 earlier, instead of heavily expanding during tier 3. In order to get more quality feedback across the entire gameplay loop (including the late-game portion of Anno 1800), we will continue to make use of our focus tester program. So what’s next for the development of Anno 1800? As mentioned, we have received a ton of feedback, so these are just a few examples. But there are still new things to look forward even for our stalwart testers who played Anno 1800 during our Technical Test. What could those things be? Well, how about our naval combat system- which we will unveil and explain in our next DevBlog towards the end of this week! We are very much looking forward to giving you an exclusive first look at our new naval and siege combat. With that said, please keep in mind that the NDA for the test is still active, so please refrain from making any comments about the content of the Technical Tests in the comments.